"A slow rasping sound made me turn. I jumped back, the cell phone leaving my hands and smashing against the concrete floor. Someone was seated on the chair, rocking back and forth. Through the fallen light, I could see those hands placed on the arms of the chair, two gruesome wrinkled limbs with ugly boils plastered over the black skin. The red bangles on its wrists shone in my eyes, momentarily blinding me. That thing and I call it a thing because I could sense it wasn't human as no human could have such a hideous form, as vile an existence as the one seated opposite to my horrified self." From a honeymoon in the hill that goes horribly wrong to an obsessed lover who wants his first love in life and in death; From a mentally deranged man who collects body parts of various women to stitch together his dream girl to a skeptic who enters a mansion of horrors to win a bet and much more, this book is filled with scenarios that are guaranteed to give you goosebumps and sleepless nights. 'The Other Side' is a collection of thirteen tales of the paranormal; a world that our eyes refuse to see, our ears deny hearing and our senses ignore the feel of. This is a book for someone who is brave enough to take up this invitation to journey through uncharted waters along with the authors, who were inspired by some bizarre experiences to pen down this work where the lines of reality have been blurred by the footsteps of imagination. Each story takes you on a tour de force of unadulterated horror and draws upon the deepest fear in the human mind- the fear of the UNKNOWN! The winner of the 2013 National Debut Youth Fiction Award and also the recipient of the YCOF National Excellence award in Creative Writing apart from being the first Indian author to win the coveted ‘Best Debut (Romance)’ title at the international Goodreads choice awards, Faraaz Kazi has been tagged as the 'Nicholas Sparks of India’ by many and is rated amongst the top male romance writers in the country. A certified soft-skills trainer and a three-time post grad, Kazi is the Founder and CEO of DigiImprint Solutions, India's first exclusive promotional agency for authors and artists that recently forayed into handling corporate brands. He also consults for a few public relations firms and publishing houses. Felicitated by numerous institutes, bodies and organizations alike, Kazi is a well-known name in the social media and literary fraternity. He is fondly referred to as 'The Young Marketer' and operates a revolutionary blog with the same name and writes for major media houses. Kazi is a fellow member of the esteemed 'Film Writers Association of India.' Truly Madly Deeply, his debut mainstream romance novel is the only Indian book to have seven category nominations in the Goodreads annual readers' choice awards and is also the only Indian book in the 'Top 100 YA Global Fiction' list. Kazi is a voracious reader and counts singing as his second love. You can connect with him on Facebook . A pediatrician by profession, Vivek Banerjee is an author by accident.He lives in Saharanpur with his parents, obstetrician wife and two children. The pressures of his profession leave him with little leisure but he still finds time for his varied interests. An avid traveller, he has covered the length and breadth of the country in real life and the rest of the world in his imagination. A voracious reader, music lover, self-confessed geek and an amateur ornithologist, he would rather walk the road less travelled, given the time and opportunity. A Bengali by birth, he has grown up in various towns of North India and studied in many different schools and colleges. He started writing on Rediff blogs where he is known as Ben and went on to write his debut novel THE LONG ROAD. He has also been published by Westland in 'Chicken Soup for Indian Doctors Soul', Grapevine India in 'Shades of Love' and APK Publishers in 'Shades of Black'. He won an all India short story competition for his story 'The hunter'which was published in 'Kaleidoscope' by Parlance publishers. 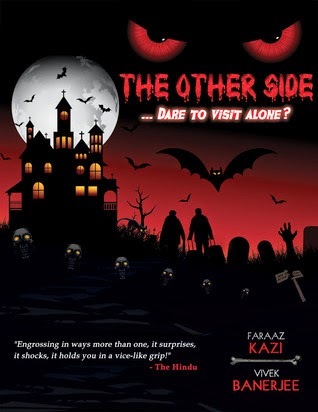 An anthology of stories about the paranormal, 'The Other Side', co-authored with Faraaz Kazi is a recent offering. He is also a part of 'Carnival' by Litizen.com. You can read him HERE. Okay before we start with the review – an honest confession here – I am not at all a horror person! I cannot even watch a horror movie in broad day light leave alone watching it at night.I started reading horror when I enjoyed reading my friend Sriramana ‘s blog and HIS book is the first full fledged horror book that I have ever dared to read. Needless to say that kind of helped me overcome my fear to a large extent. So much that today I have dared to say YES when the author of this book Mr. Faraaz Kazi approached me for a book review! This book has been the most marketed in the recent times and yes it was one of those FB updates that made me mark this book as To-be-read. My curiosity was surely piqued after I read its blurb and saw the various updates in the form of teasers and trailers. The book’s cover is inviting if I could say that for the red and black cover with embossed images surely makes your mind think way beyond that what it is supposed to. I would be lying if I say I did not read it with any expectations. I had tons of them on my hand as I began to turn page after page. The authors have fared superbly to the expectations they raised during the pre release of the book.There were few stories within that scared the hell out of me so much that I actually stopped reading the book in between for sometime. And yes (guilty!!) I read the book only during the day couldn’t manage to read it at night and neither when I was travelling. And they have created a benchmark of their own in terms of horror as a genre. Well there are a few books which dampen the entire mood in which the book begins, but I believe that the quality of some of them is extraordinary and hence should not be a hindrance at all. The authors have your attention from the word go scaring you, making you want to scream and at the same time proving you wholesome entertainment ! Strongly recommended for people who love such genres for you rarely get to such classy work in horror by Indian authors! 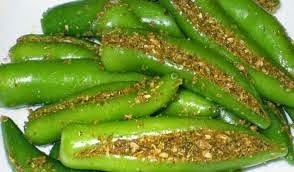 This book is like mirchi ka achar - tasty, spicy enough to burn your insides and yet delicious that makes you want more! I love reading/watching horror/paranormal fiction/flicks!! Especially when they are gripping! I liked this book. Some stories are really nice. I've won "Frankly Spooking" in a giveaway contest by Reader's Cosmos (On Twitter) and really looking forward to it. Yaar am too timid to watch such movies to be honest :/ I managed to watch Raaz in so many bits and pieces :( don't ask. So no wonder I haven't see Ragini MMS. For Frankly Spooking, Sri has definitely done a superb job! And yes it needed guts for me to read this book!